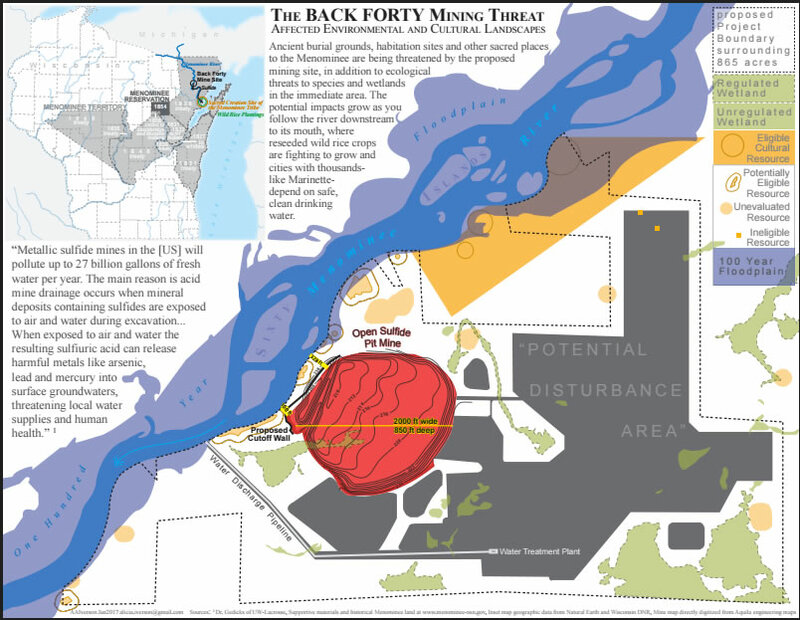 Donate - The Menominee Indian Tribe of Wisconsin created an Environmental Task Force to focus its efforts to prevent the proposed Back Forty Mine from becoming a reality. The Environmental Task Force is involved in public awareness campaigns, political engagement, legal challenges to the permitting process and will continue to be a presence in public meetings and public comment processes concerning the remaining permitting hurdles. If you are able to and wish to make a contribution, the Menominee Indian Tribe of Wisconsin established a process for those wishing to donate financial resources to help the project. You can donate here through the Tribe’s crowdfunding platform Menominee Nation No Back 40 Mine Fund or the tribe directly here. Public Awareness - The public deserves to be educated on the adverse impacts of the mine. All citizens should be aware of threats to our most precious and critical natural resource, clean water. Clean water should not be a luxury, it is essential for human survival. As many of us are aware, public awareness often starts with our circles of friends and family. 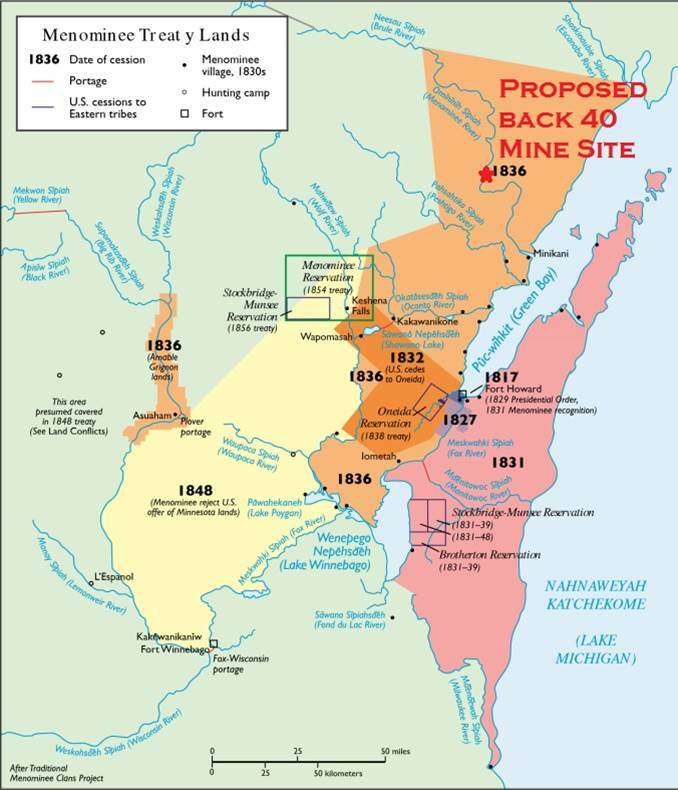 We encourage you to talk with the friends and family about the project and to assist you we have developed basic fact sheets about the proposed Back Forty Mine project. In addition to friends and family efforts, there are opportunities to get involved in the public comment periods and with the various efforts of the Menominee Tribe, local citizen groups and environmental groups. For upcoming events and important dates please click here. Resolutions in Opposition - Resolutions in opposition are an effect way for a government, organization or group to have their opposition to the proposed mine on the record. For a sample resolution click here. Political Engagement - A majority of the decision-making processes of the proposed mine falls under the authority of the State of Michigan. Specifically, the Michigan Department of Environmental Quality (MDEQ) has exclusive authority over the Nonferrous Metallic Mineral Mining Permit and the Michigan Air Use Permit to Install for the project. However, with regards to the National Pollutant Discharge Elimination System (NPDES) permit and the permit for wetland impacts, the State of Michigan is operating under a federal delegation of Clean Water Act Section 404 Authority. In addition to elected officials in Michigan and the Federal Government, elected officials in Wisconsin should be aware of this threating project. After all, the Menominee River serves as a boundary line between the States of Michigan and Wisconsin, and an open pit mine within 150 feet of the Menominee River, ensures any adverse impacts of the Mine would not solely be felt by Michigan residents and communities. To learn more about political engagement click on one of the following. Investor Relations - Aquila Resources Inc., is a Canadian exploratory company, listed on the Toronto Stock Exchange (TSX: AQA). As an exploratory company, Aquila is engaged in high risk investments for their investors. According to Aquila’s April 2017 investor report, major institutional shareholders include, Orion (17.5%), Hudbay Minerals (13%) and Ruffer (15%). When questioned about opposition groups at an investors presentation, Aquila CEO Barry Hildred, downplayed the seriousness of the opposition to the mine. If you would like to share your thoughts with Aquila and its major investors click here.